The California American Legion College graduated 17 students on March 24, 2019. Students traveled from the northern and southernmost parts..
As The American Legion is celebrating its 100th birthday nationwide, Charles Turner Post 867 held its own celebration during the.. I lost my first child on the day I was born on April 19, 1775…I am America. He fell on.. The mayor of Texas City, Texas, read a proclamation acknowledging the American Legion Centennial and Colonel Moore Post 89..
On Friday, March 15, American Legion Post 88 joined the celebration of The American Legion's 100th birthday with an open..
For one hundred years, the Tomb of the Unknown Soldier has served as the nation’s most cherished shrine to the..
Like most posts, as we began to research our history, many items were discovered and facts learned. We have a..
On March 19, the governor of Iowa, Kim Reynolds, signed a proclamation: "I, Kim Reynolds, Governor of the State of..
On March 15, 2019, Colorado Springs American Legion Post 5 hosted the Centennial Celebration of the Paris Caucus. On March..
American Legion Post 42 of Ocean Springs is appealing to American Legion members totaling in the hundreds on the ..
Daddow-Isaacs Dallas American Legion Post 672 visited Dallas Borough's Council, where Mayor Tim Carroll gave the post a proclamation honoring.. THE DEPARTMENT OF CONNECTICUT'S AMERICAN LEGION CENTENNIAL BIRTHDAY GIFT At 10 a.m., Saturday, March 16, 2019, Buck-Dubiel Post 101 in..
Gov. Larry Hogan declared 2019 Year of the Veteran by proclamation. 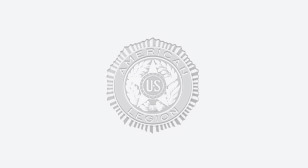 I am relatively new to The American Legion and am pleased to be part of this organization. I served.. The Officer Candidate School Alumni Association is looking for graduates of the U.S. Army Officer Candidate School. Since 1941, OCS.. The post celebrates the national 100th birthday, coinciding with the post's 100th commander, Keith Clevenger. For the centennial celebration on March 16, 2019, officers from all around District 12 joined up at Post 624, Mansfield,..
Department Of Connecticut Commander Tom Flowers and National Vice Commander (NVC) Paul Spedaliere invited Buck-Dubiel Post 101, along with the..
During Buddy Check Week, Buck-Dubiel Post 101 volunteer team members got together on Wed., March 13, 2019 and Sat.,.. Spotlight on Somers, CT American Legion Riders Chapter 101 - Family Focused & Mission..
By Mike Craddy As American Legion Riders, our main objective is helping other veterans & promoting the aims and purposes..
SAN ANTONIO – (March 15, 2019) Members of Fred Brock American Legion Post No. 828, located on the city’s East..
Eagan High School hosted a special ceremony March 15 to officially rename Eagan American Legion Post 594 in honor of..
Our Post displays the cap of James Boyle, who was a veteran of WW1 and..
Post 243 "shares the love"
American Legion Post 243, Mount Vernon, Texas, celebrated the Legion's 100th birthday with an open house and hot dog..
Legend has it that the adage, “Looks like he’s at death’s door,” was coined in a base hospital surgical ward.. In the Land we love The Land We call our Home! "The Star Spangled Banner" Is the symbol of unity!. And "We the People" Must..
We Have Met the Enemy and Is it us? When the Korean War began in June 1950, I signed up, I was single, had five years' experience in construction,..